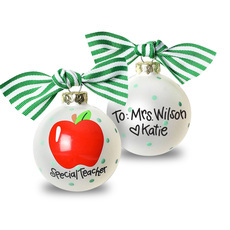 Our personalized Christmas ornaments are a beautiful and fun way to celebrate the holiday season. 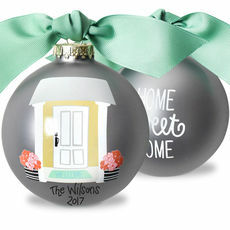 These ornaments allow you to put a personal touch on your home's tree or to give a special gift to someone on your list. 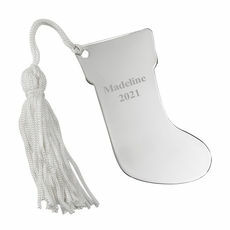 A personalized ornament is a great gift idea as it's a present that will be remembered each and every year to come. 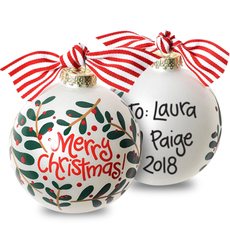 When you begin your holiday decorating or start looking for gifts for the special people on your list, our personalized Christmas ornaments add more fun to the season. 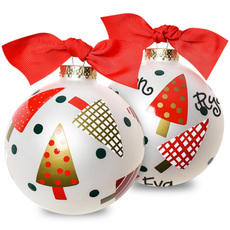 We carry traditional styles as well as modern and artistic styles to suit your holiday decor. 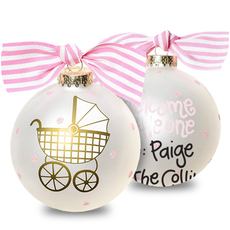 For the new baby in your life, we have first Christmas ornaments that are sure to please. 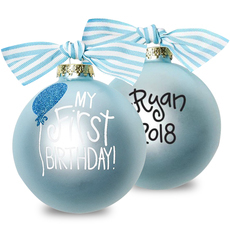 You can customize these ornaments with a photo of the new little boy or girl along with his or her name and date of birth. 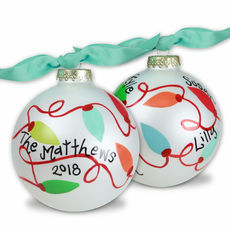 There are also some lovely hand-painted ornaments featuring unique and whimsical wonderfully-done ornaments such as baby designs and include a coordinating shiny satin ribbon or classic strings for easy hanging from the tree. 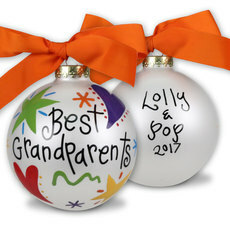 The ornament can feature the child's name and birth year to create a lasting family heirloom that may decorate the child's own tree someday. 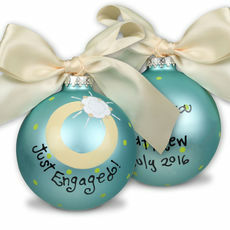 For a newlywed couple, a gold and silver ornament is a great choice. 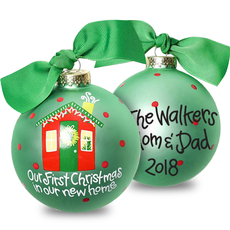 The proud couple will be thrilled to hang it on their very first Christmas tree as they prepare their home for the holidays. 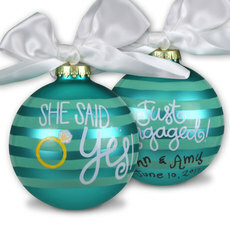 You could add the couple's wedding date and names for a custom touch to this classic style. 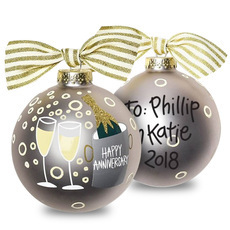 If you're celebrating another major event in your life such as a wedding or anniversary, we have products that allow you to celebrate these milestones with a commemorative decoration. 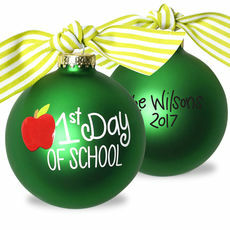 These personalized ornaments can include names and dates so that you'll always remember. 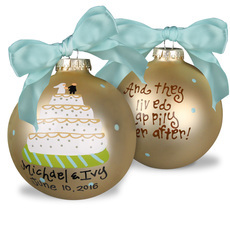 From wedding cakes to Mr & Mrs designs, these are keepsakes that will be so well received and cherished for a lifetime. 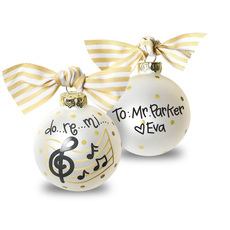 For an elegant touch to your tree, you might consider our crystal shaped ornaments. 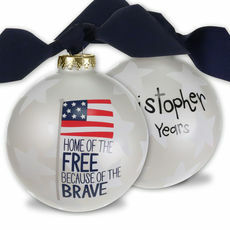 These ornaments feature deeply sand-carved imprints and the most elegant boxes for easy gift-giving and storing. 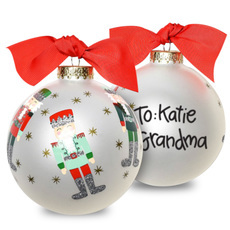 These Christmas ornaments will be a keepsake that your loved ones will cherish for years to come. 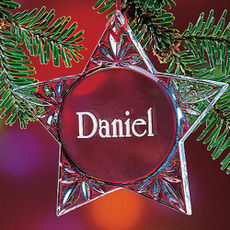 Another fun way to share in the season's festivities is with a photo ornament. You might choose a snapshot or portrait of your new baby, your growing child or even your furry friend. 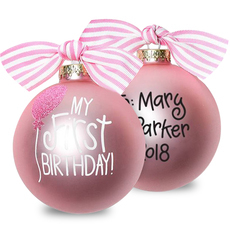 You can add some personal touches such as the child's name and the year for a memorable gift that will be appreciated every holiday season. 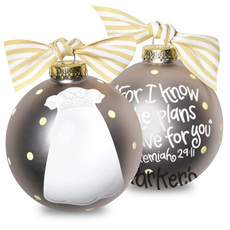 Our glass-etched ornaments are also a lovely choice. 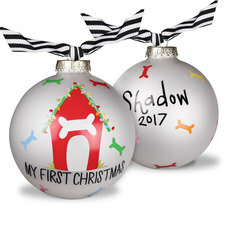 These ornaments come in oval, rectangular, square and circular shapes with intricate details and borders created on the surface of the glass. 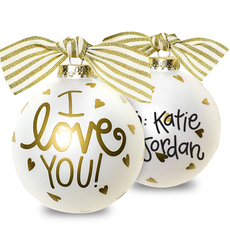 The recipient's name can be etched into the glass, or you can choose to have their initials or monogram placed in the ornament's center. 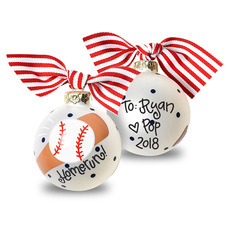 So enjoy the holidays and pick and easy to order ornament for a thoughtful personalized stocking stuffer that will make the perfect Christmas gift.